Message on the card inside reads: "Above all kindness"
Part of the Willow Tree Family Figure collection. A delightful figurine of a girl holding a kitten. Susan Lordi, the sculptor really liked the simplicity and truth of this sentiment, Above all, kindness. Kindness is a virtue that gives us so much reward, and one we aspire to. The animal that the young girl holds can be metaphorical (who better to teach us about kindness than animals?) 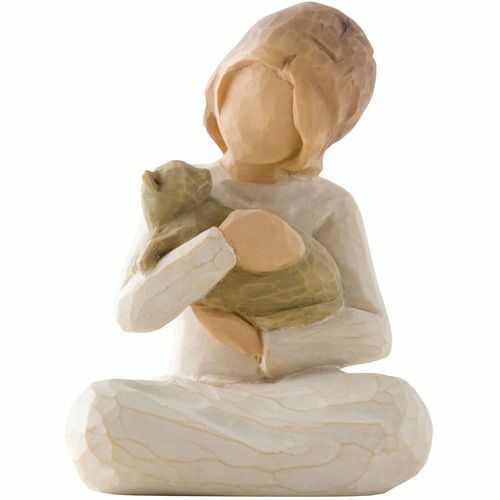 or this Willow Tree figure can simply represent a loving relationship with a pet.